Government to slash motoring red tape | What Car? The Government has announced plans to cut red tape, which it says will save drivers up to 8m. The Department for Transport will scrap or improve current motoring regulations in a bid to relieve drivers of paperwork, as well as modernise the system, Transport Secretary Justine Greening announced. 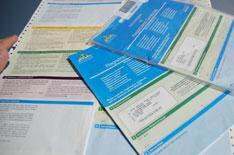 Regulations set to be scrapped include the need for motorists to hold a paper counterpart to their driving licence; the requirement to hold an insurance certificate, and abolishing the requirement for proof of insurance when applying for road tax. The Department for Transport will work alongside the insurance industry while DVLA records will be regularly compared with the Motor Insurance Database (MID) to identify registered vehicles without insurance. The Red Tape Challenge was launched by the Prime Minister on April 7, allowing the public to have their say on the 21,000 regulations affecting them in a bid to reduce bureaucracy. Other changes include amendments to Statutory Off Road Notification (SORN) process. Drivers will no longer have to complete an annual SORN renewal once it has been declared off road, while only hard copies of V5C documents will be issued for fleet operators. The Red Tape Challenge website attracted more than 2000 comments from members of the public and businesses, as well as written submissions from trade associations and professional bodies. Business and Enterprise Minister, Mark Prisk, also announced that over 50% of the considered 1200 regulations will be scrapped or improved.